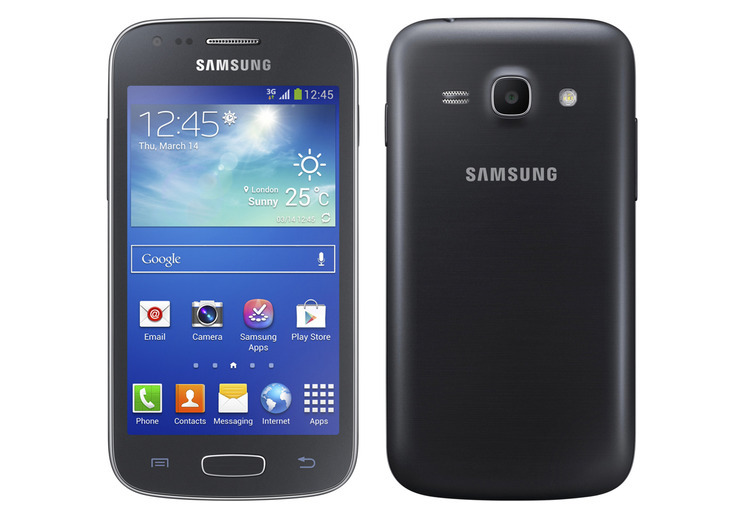 Samsung the leading mobile phone manufacturer has just released it third edition of Samsung Galaxy Ace, running on an Android 4.2 Jelly Bean, and 1.0Ghz Dual Core Processor. Samsung GALAXY Ace 3 is already LTE (Long Term Evolution) capable, the ability for high speed internet, although some part of the Philippines is not yet LTE, we can expect for nationwide upgrade pretty soon as this are the promise of Globe and Smart. Fortunately, Samsung GALAXY Ace 3 will be released in two version LTE and 3G version, network availability will not gonna be a problem. Enjoying its 4.0 inch display, there's nothing much you can ask for, watching movies, playing games, and listening music is just the little things that this mobile phone can do. 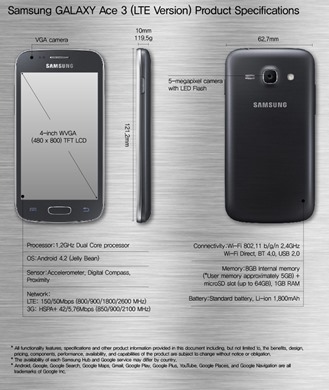 Equipped with 5 megapixel auto focus camera with led flash. There are two versions of the Galaxy Ace 3 planned at the moment: 3G and LTE. There's no difference in the exterior of the phone, but the LTE model gets a faster 1.2Ghz dual-core processor, 8GB of internal storage compared to the 3G's 4GB, and a larger 1800mAh battery (1500mAh for 3G). The LTE model is also a hair's breath thicker at 10mm compared to 9.8mm. To provide a more intuitive user experience, the Galaxy Ace 3 comes equipped with several smart features - S Translator, S Travel, Smart Stay, S Voice and Easy Mode - providing innovative tools that continue to make the Galaxy series successful in the market. Unfortunately, its yet available in the Philippines, that come with its price. What can you say about Samsung GALAXY Ace 3? Stay tuned for more info about this phone.